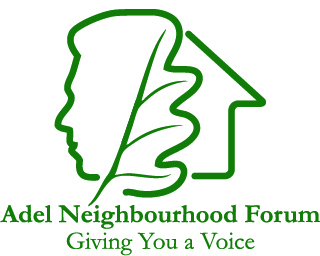 Your views on the Housing Proposals for Adel are important. This is your chance to voice your concerns. Adel is a special place because of its character, green space and landscape. If you agree please read the following carefully. We have been asked by the Community if we can provide information on how to respond and the notes below will, we hope, help you. Near the end of this message is a Proforma to help you with your thinking. Leeds City Council is undertaking a consultation regarding its Site Allocation Plan. This will determine where housing development will be permitted in Leeds up until 2028. The council is inviting comment on its plan and we strongly encourage you to submit your thoughts. The closing time and date for comment is 5pm on 16th November 2015. The local ward Councillors have circulated letters advising about the consultation and the potential sites in Adel. 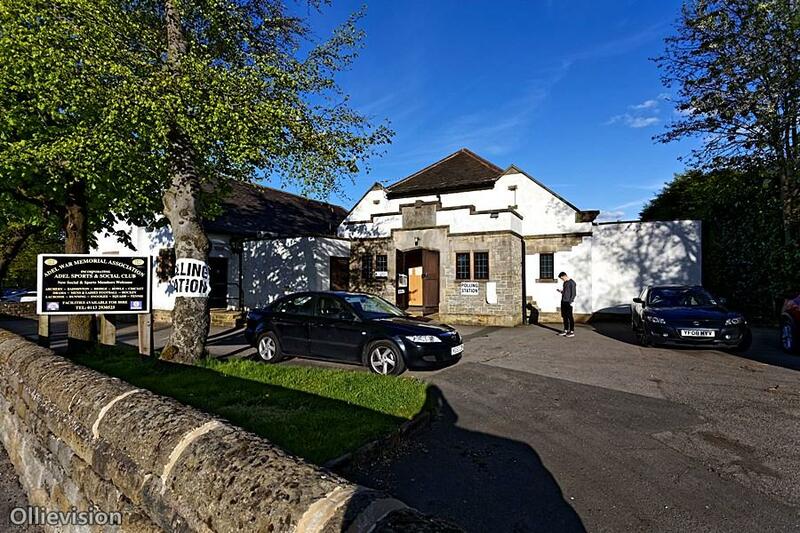 A meeting will be held on Friday, 13th November at the Old Stables, Back Church Lane, Adel, LS16 8DW at 7pm. Following recent consultations on the Neighbourhood Forum’s Policy Indications Document we know that there are two sites which are highly contentious because they are green field sites. Our view is that no green field site should be considered until all brown field sites across the city have been exhausted. Greenfield sites are land that has never been used (e.g. green or new), where there was no need to demolish or rebuild any existing structures. This is distinct from green belt sites which are designated as such by statute and are protected from development. In writing to: LDF Publication Draft Consultation, Forward Planning & Implementation, The Leonardo Building, 2 Rossington Street, Leeds LS2 8HD. The Council has a website dedicated to this consultation www.leeds.gov.uk/yourcity where you will find a link to interactive maps and consultation material. If you are using the website to search the individual sites you may find it very slow as there is a large amount of data to load up each time. The Council has a consultation document but it does not give enough scope for expanding on the comments you wish to make and is more of a “tick box” exercise which we do not feel is adequate. However, we are following the questions they are asking and advising what sort of comments you may wish to make against each site. You can do this free hand and set it out as we have done here or use the proforma at the end of this document. . Provide your name and address and postcode. Phone Numbers and Email addresses are optional but it may be useful to put your email address in order that you can be kept up to date by the Council during this consultation and subsequent events. 2. State that you would like to make comments on the “Leeds Site Allocation Plan”. 3. Which site do you want to make comments about? *Site HG2-18 Church Lane is recommended by the Council to also include provision for a school. **Site HG2-38 is currently green belt and is being proposed by the Council to come out of green belt. ***Site HG2-34 has been identified as suitable for elderly or independent living schemes. There is one office employment site already included in the current plan. Plan Reference EO1-6 Bodington Business Park 4.4 hectares and the capacity is 24,375 m2. Plan ref. HG1-60 Tile Lane, Eastmoor (the old Adel Reformatory). Plan ref.HG1-74 at Dunstarn Lane. This is the site of the Heath – a former residential development. As these sites are already in the plan, no further objections can be made. We are not opposed to development on these sites but would hope that the council and developers would listen to the wishes of the local community for a mix of housing. We believe that by accepting these sites and the previous development at Centurion Fields, Adel has taken its fair share of housing development totalling nearly 400 units. Additional sites outside the Adel Neighbourhood Plan area that we would recommend for development . This site just outside the Adel Neighbourhood Plan area is currently a car park at the top of Farrar Lane. As such it is considered a brown field site. It is proposed that this site and adjoining sites could be used to provide purpose built accommodation for older people. 4) Plan ref. HG2-32 Cookridge Fire station, Otley Old Road 15 units. It is proposed that this site will be vacated when the Fire Station is relocated to the Weetwood Police Station site, Otley Road. This is the land opposite the Parish Church of St John the Baptist, Adel which was turned down for a planning application in November 2014. The potential development of this site was previously examined by a Government Inspector as part of the Unitary Development Plan in 1999, as a result of which clear parameters for any future development were set out, in terms of protecting the setting of the Grade1 Listed Parish Church of St John the Baptist. Part of this land was designated as PAS land in 1999 which meant that it might be considered suitable for housing development at some point in the future. We have now reached the stage at which the council is prepared to consider releasing this land for development. Within the context of its location, heritage and current attitudes we find this difficult to accept. In addition the remaining part of these sites is being taken from the Green Belt. We can argue that this land does not meet the National Planning Policy Framework’s Special Circumstances for use of the Green Belt. The revised planning applications envisage that traffic access to and from the two sites will be split with traffic from the land to the rear and north of the Willows accessing Otley Road opposite Kingsley Drive. The A660 Otley Road is one of the most congested roads in Leeds. It is proposed that traffic from the site adjoining Centurion Fields will exit onto Church Lane via Holt Avenue opposite Adel Sports and Social Club. We do not consider these traffic proposals sustainable and is likely to add congestion to Long Causeway at its junctions with Adel Lane and the Ring Road. Despite the significance of the heritage of this site that has been recognised by Historic England (the new name for English Heritage) it is recommended by the City Council that this site should include provision for a school. This site, located in greenbelt, is south of the main residential area of Adel, sloping towards the Ring Road. Development of the site is considered by Leeds City Council to ‘round off’ the existing built up area. Access would need to be through the neighbouring site HG1 -74 which is already in the plan. Layout, design and development of this site would need to blend in with the character of existing development. a) First of all say whether you agree or not with that site being allocated for housing. • Ecology/Landscape/Trees – you might want to comment where you feel any trees/wildlife/landscape will be affected by development. • Local Services/facilities – need for or current lack of etc. • Schools – Do you think that there is sufficient capacity within local schools to meet the needs of children including those moving into the area as a result of proposed housing development? The advice we have received is that the needs of all children could not be met in this area and would require some to have to travel out of area to be educated. We understand that neighbouring schools are also facing capacity issues. • Conservation/Heritage – you may wish to comment on the setting of the church and its significance to the landscape. • Highways/Transport – comment on provision of, or lack of, any plans proposed, traffic congestion, future traffic congestion on A660, knock on effect of developments to the north, east and west of Adel in Bramhope/Otley/North Yorkshire/Bradford etc. • Site Boundary – you need to suggest a revised boundary where you feel the site might be pulled in or expanded. 5. Unallocated Sites – it would be useful if you do support them being unallocated that you make that comment on your form, again using the reference numbers. Developers may put forward proposals for their use and if there is no objection on record, then this may mean that the Council decides that they should be allocated after all. All you need to say is that you support them not being allocated. Site ref.1079 Long Causeway 3.3 86 Green Green Belt Site. If you think the Plan is unsound you need to tell the Council which of the above tests it fails on and set these out against each of the 4 headings. • Consideration needs to be given to infrastructure need before any site is approved e.g. school capacity- primary and secondary, determination of future highways demand and how this will be met, ability of local primary health structure to meet anticipated needs of local population. You may also wish to comment on whether or not the sites that are proposed to be taken out of the green belt meet the Exceptional circumstances or Special Circumstances that need to be in place before this can happen. In Leeds’ case the land does not meet any exceptional circumstances which would justify it being taken out of green belt. □ Extension or alteration of a building provided it doesn’t result in disproportionate additions over and above the original building size. □ Development brought forward under a Community Right to Build Order. Just to confirm, if you make a comment you will have the chance to make your comments again during the public inquiry before the Inspector or someone else can do that on your behalf. You need to state whether you would like to take part in the Public Inquiry or nominate someone, like one of your local Councillors, to attend on your behalf (you will need to name them, however). You must then sign your submission and date it. Remember the deadline for comment is 5pm on 16th November. Proforma for comment on Leeds Site Allocation Plan. Is it positively prepared? Is it justified? Is it effective? Is it consistent? Would you like to take part in the forthcoming Public Examination? You may have read in the press recently that the Council are carrying out a consultation exercise on the potential sites for housing, employment use and green space throughout the city. As background to this the Government has asked local councils to set targets to meet the greatly increased housing needs of the country. Leeds’ response has been to bring forward proposals to build 70,000 new homes across the city. There are also proposals to develop the area around Leeds Bradford Airport in terms of employment sites and a potential link road. This could have an effect on Adel. Additional housing development could impact on infrastructure and services in our area affecting roads, employment, health and dental services and school places. The Council believes that these targets are necessary to meet housing needs in the City. I believe that we have done more than enough to meet our obligations. 1. Saturday 10th October Cookridge Garden Covenant AGM in The Friends Meeting House on New Adel Lane starting at 2pm. This event is for residents who live in the area bounded by The Drive, The Crescent and Holt Lane including Heathfield, Broomfield, Whinfield, Farrar Lane, Farrar Grove and Farrar Croft. Unfortunately this event is only open to residents in this area which is covered by the Cookridge Garden Covenant. This is essentially the AGM but my slot on the agenda will be a presentation on the Site Allocations. 2. The regular Adel Association meeting which will take place at 7.30pm on Thursday 15th October in the Adel Methodist Church Hall. This will be a one-item agenda on the Site Allocations Plan and this event is open to any resident living in the Adel area. 3. A further event is being organised by my Ward colleagues and myself for Friday 13th November from 7pm to 8.30pm in The Stables, Back Church Lane, Adel. This event is also open to any resident in the Adel area. It is anticipated that all three presentations will have a similar format hence there is no need to worry about not being able to attend all of the events. I hope this gives you flexibility to attend one of the events. I cannot urge you too strongly to take advantage of this opportunity to make your views heard by attending one of these meetings. You can also see more details on the proposals on the website: www.leeds.gov.uk/yourcity where you can submit an on-line consultation response form or you can respond via e-mail to sap@leeds.gov.uk or by letter to LDF Publication Draft Consultation, Forward Planning and Implementation, The Leonardo Building, 2 Rossington Street, Leeds, LS2 8HD expressing your views and making any comments on what you believe is the right course for Adel. If you have any questions on this please do not hesitate to get in touch with me. I trust this keeps you up to date with matters that may affect you.